In the US, please check with your local Fish and Wildlife Department in your State and see if Tilapia are legal in your area. It generally takes between 7 and 9 months for a tilapia to grow to maturity and we harvest them then at 1.25 lbs (approximately) which yields two four-ounce fillets. Tilapia are considered a fresh water, warm water fish.’ The plants grown in aquaponics systems grow faster in a warm environment, which requires warm water flowing through the systems. Plants do best at 73° F no matter where they are in the world. They may grow faster or slower in warmer or cooler temperatures, but they grow best with a leaf surface temperature of almost exactly 73° F. That means that the fish in the system need to love and enjoy warm water. Please note, different countries have different choices for their aquaponics systems with fish that are ‘fresh water, warm water fish’ other than tilapia. For example, in Australia we’re told they favor using barramundi, silver and golden perch, and catfish. Portable Farms Aquaponics Systems favor using tilapia. Most trout/salmon do not like water over 60° F at which point they begin to experience stress and become susceptible to diseases above this temperature level. This means either the water must be cooled and heated each cycle, or the fish or the plants will be unhappy and not grow well. Catfish, which was our personal first choice, have a different problem. The fry or fingerlings are only available three months of the year (May, June, July) so there is no way for farm owners to constantly restock their fish tanks. Catfish grow quickly, they like warm water, they will eat almost anything, they taste good and are a hardy fish. But, stocking off season is impossible. 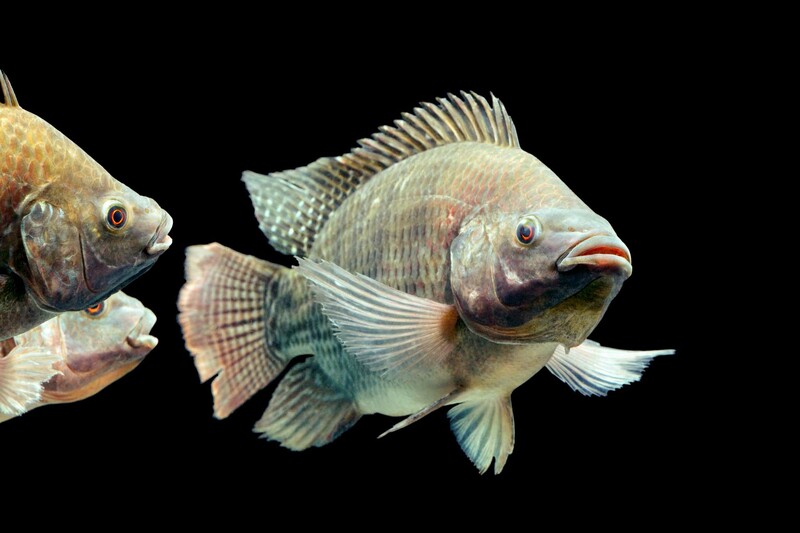 Perch are carnivores and eat bugs, crayfish and other animals to grow. These are tough to get in the winter time unless you grow them inside for some other purpose. Perch food is tough to get almost any time of the year. Perch taste sweet and are easy to work with but are difficult to find food for them. Crayfish and freshwater prawns are cannibalistic and need to have separate ‘apartments’ built in the tanks so they don’t eat each other. They are sometimes used in the tanks with other fish to clean up the bottom of the tanks. They are very hardy, but the housing for them is a problem. That leaves the incredibly, tasty, hearty and adaptable Tilapia. They are very easy to prepare, taste great, grow quickly, and are available year round. They will eat and prefer plant protein and are very hardy. They prefer a water temperature in the low 80° F’s, the water can be fresh water, brackish water or even salty water, and they do just fine. They will thrive in water that can be dirty looking and still grow and be ready for eating almost anywhere in the world. Of course, our newly configured Portable Farms CAD pumps remove all sediment from the tanks and they swim in clear, clean water that turns over at least twice per day. Hi….Congratulations on a fantastic site and resource. One question:Have your tilapia been genetically engineered? 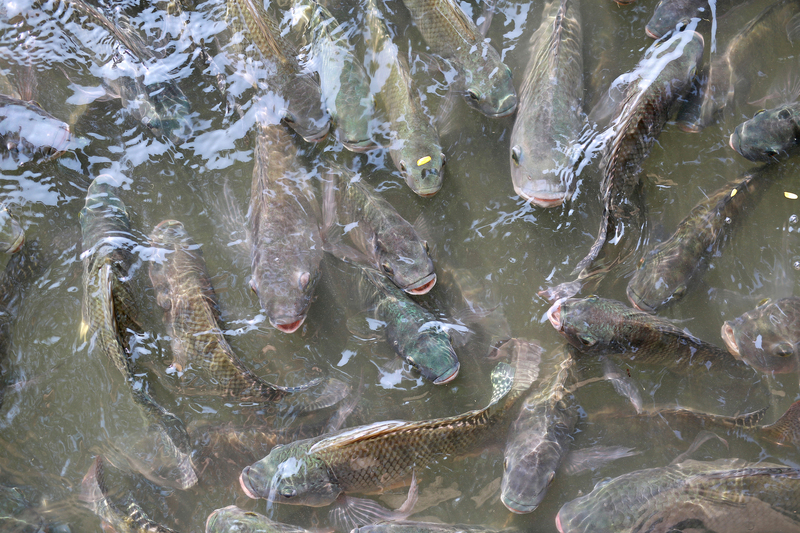 The tilapia to be use are dependent on local suppliers. There are no genetically engineered tilapia that we know of that can be purchased. We would not use them if they were available. We have successfully used hybrids, but they are a straight cross between related varieties of the same species. Where can I get the California Hybrid Tilapia? I live in Escondido, Ca and am really interested in learning about Aquaponics. The easiest way to find Tilapia almost anywhere in the US is to look on craigslist.org. To find out more about aquaponics, there are now thousands of sites with information on aquaponics. Simply type in “aquaponics” and up they pop. The salmon aquaponics is still being refined and it appears that small installations are not yet economically feasible.